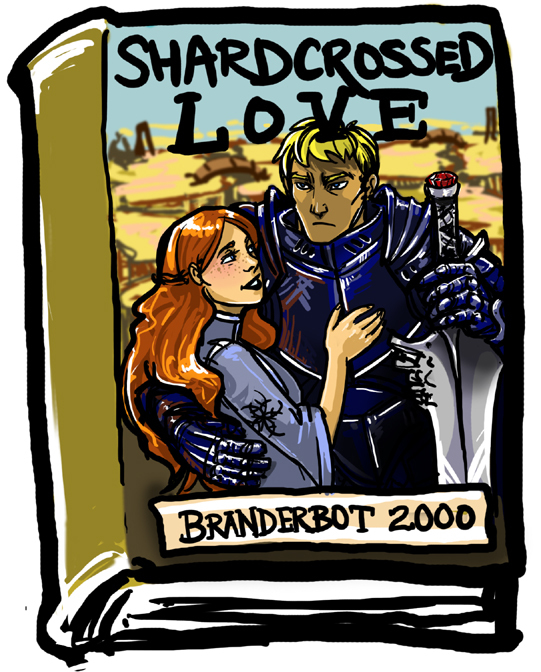 Branderbot 2000's newest novel features a love triangle for our sassy redheaded heroine. 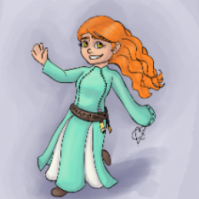 In this episode, she goes stepping out with a handsome prince in armour (refer to previous episode, Six Feet of Steel) who is not very smart but is pretty good at beating people up. Does she choose the mysterious shirtless bridgeman Kaladin? Or the well-heeled prince with sacks of spheres? ...like how he poops in Shardplate. These are too funny (and scary). Man, I love this one so much! I would not enjoy that alternate reality, though. This is simultaneously brilliant and absolutely horrifying. That face basically says: "It would be easier fighting voidbringers now"
I love the summaries for the books, especially this one!